Apart from all the excitement surrounding the expansion projects at both the Four Roses Distillery and Warehouse & Bottling Facility, 2016 was especially meaningful to me as my first full year as Master Distiller. Looking back, the highlights that I will always remember are the opportunities I had to get to know you and other Four Roses enthusiasts better. I continue to be amazed by the interest and passion so many people have for our brand and the personal support I’ve received. It is so satisfying to see that our internal passion and belief in the brand is appreciated and is translated to you. In December 2016, we had a very successful Mellow Moments open house event at our new bottling facility in Cox’s Creek. Before the members arrived, I took a moment to look around and reflect on our growth. Frankly, it felt a little strange standing in the large, shiny, open space that is our new bottling house. I kept having the feeling that I was in someone else’s facility. It still does not feel like home, yet. It makes me realize that the intangible part of our magic and success has been our intimacy with our consumers and our ability to be accessible and to be in touch with people like you… and that our biggest challenge amid the growth is not to lose sight of that. In 2017, our sales will continue to rise, our bottles will fill faster and construction will continue at the distillery, but one thing that will not change is our appreciation of our consumers and our friends. We will continue to develop our relationships with you and do all we can to thank you for all that you’ve done to help us build Four Roses into the brand that it is today. I suppose that in the spirit of the New Year, I need some resolutions. 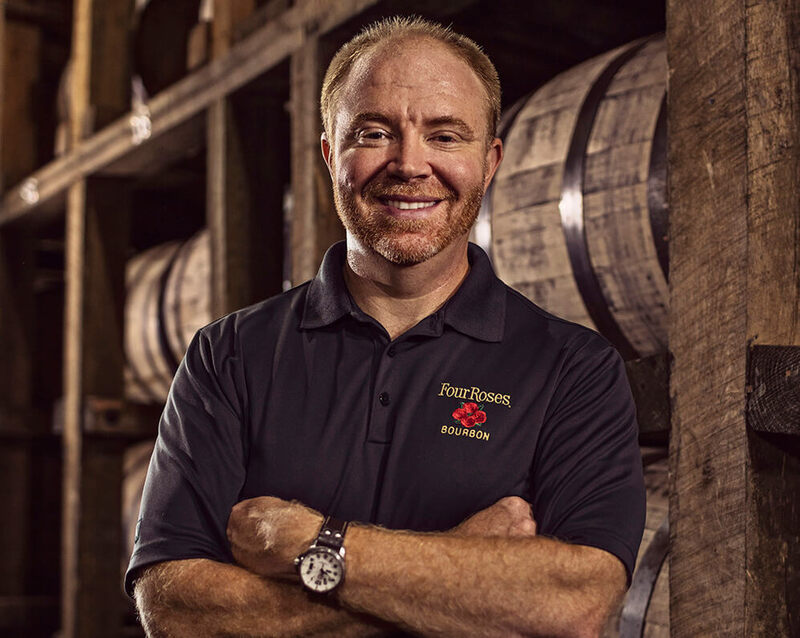 To maintain our commitment to our consumers and Four Roses’ quality will be my primary goals for this year. I may also try to eat better and get more sleep, but I say that every year.